Filip Ingebrigtsen wearing the new Nike prototype spikes with the Mamba upper. 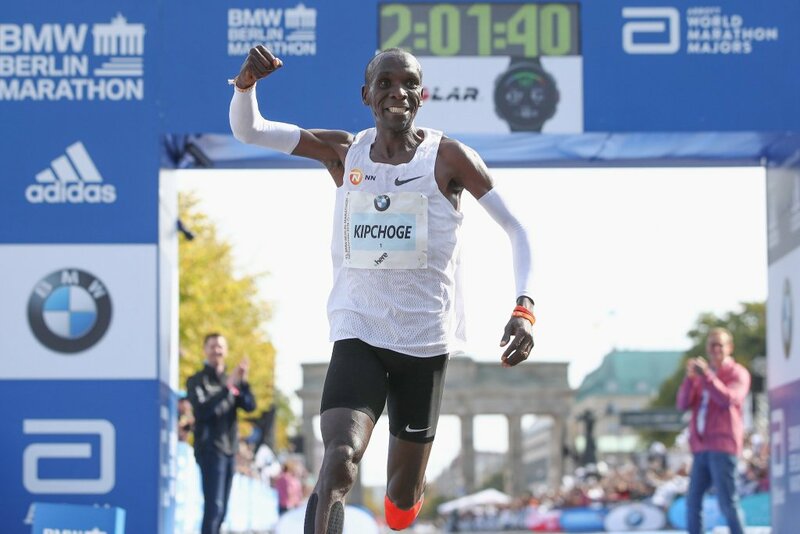 Over the past few years I have written posts on Nike’s running spikes, predominantly looking at the middle distance spikes. 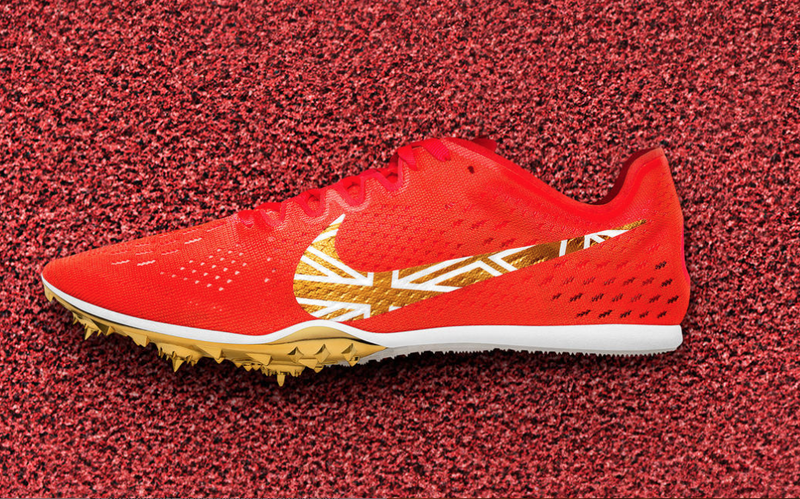 Back in 2016 there was the introduction of the Nike Zoom Victory 3 spikes, especially designed for the Olympics. 2017 built upon these spikes, introducing new colour ways for the elites and the public. 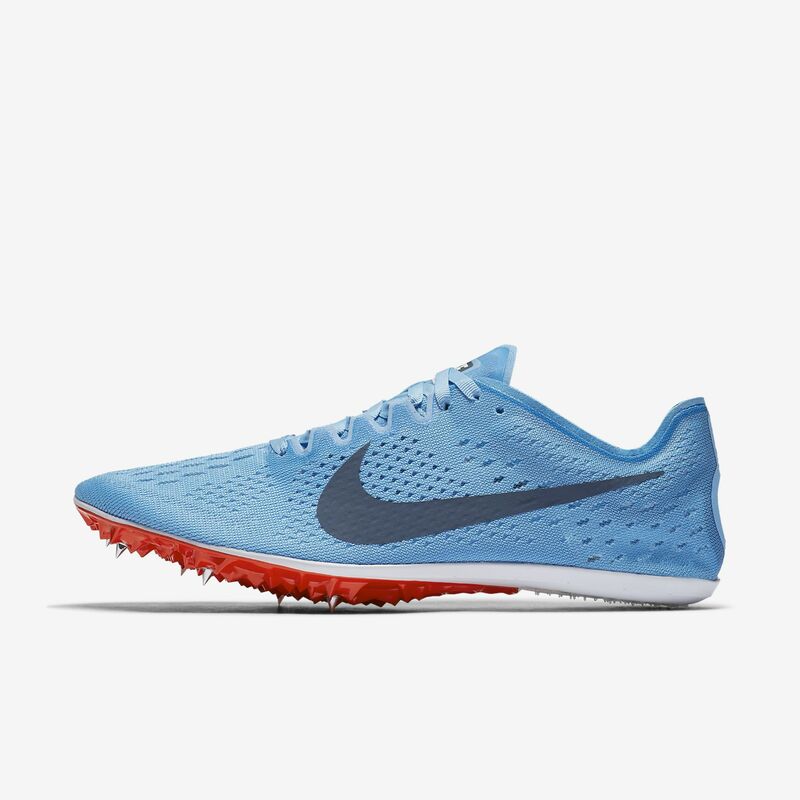 For the Nike Spikes 2018, a similar case has been seen with the continuation of the trusted Nike Zoom Victory 3s in a range of custom colours. I will also be taking a look at some of the other ‘prototype’ and ‘unreleased’ spikes that Nike have seemingly been testing throughout 2018 with its athletes. Thank you to Track Spikes USA on Instagram for compiling such a comprehensive album of the latest spikes and to the forum’s on TrackTalk for the pictures. To read my other spikes related posts, click here. 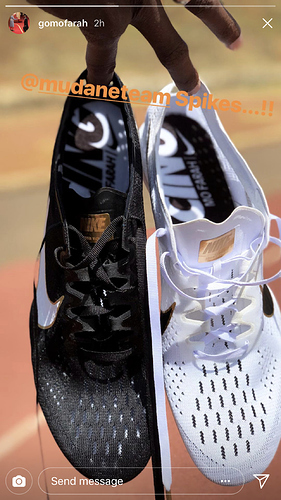 This year, the Nike Spikes 2018 have been given a whole new look by moving away from a single colour, instead introducing two colours for the spikes! Nike have opted for a black and white dual colour way along with a gold spike plate which gives a real distinctive look to the spikes. Personally, I think this is very attractive look and something different to the usual same colour across both spikes. Although, this is not the first time alternate colours have been used on each spike before. Some will remember back to the days when Adidas offered the exact same black and white alternate coloured spikes, looking similar to this 2018 colour for the Nike spikes, but the gold plate addition to Nike’s make them really stand out. For the public – and the pros who choose to – a similar black and white version is available, where both spikes are black with a white sole. There is also last year’s ‘Football Blue/Bright Crimson/Blue Fox’ colour way available to the public; this is the same colour which we saw the pros use late last year. There is a red and black version available which is in line with the elite colours seen on most pro Nike trainers. This is my favourite current colour way, however it is not available to purchase for the public from Nike. 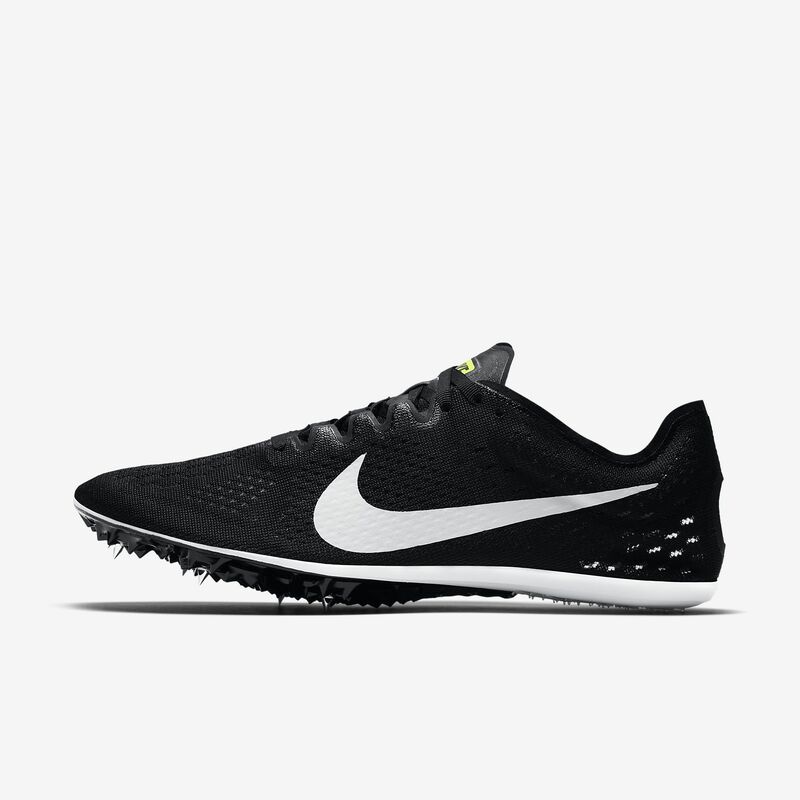 As I am sure many of you readers are aware, Nike also releases some custom spikes in specific colour ways designed for certain teams and colleges. Here are a few of the different colours that we have seen debuted in 2018 so far. 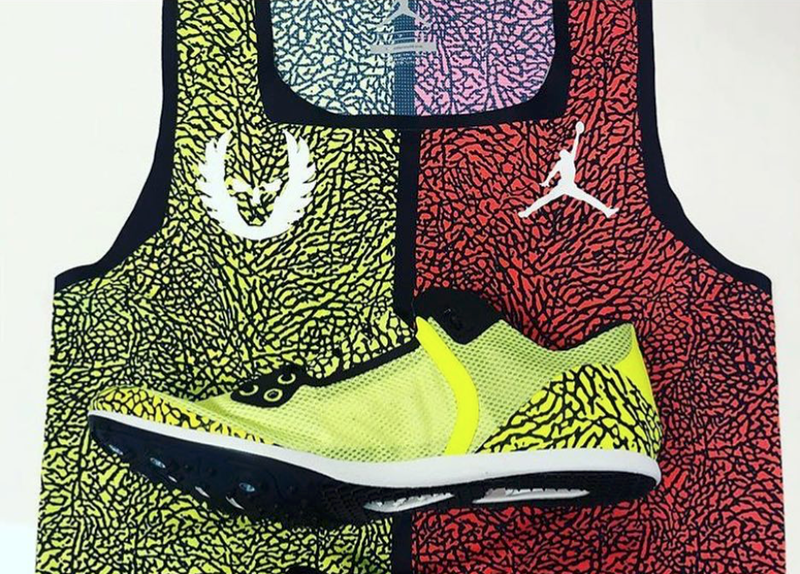 In particular, a slightly different collaboration has been seen between the Nike Running branch and Nike Jordan bringing out a very special custom Jordan spike worn by Matt Centrowitz amounts others. Every year there are many different prototype spikes floating around. 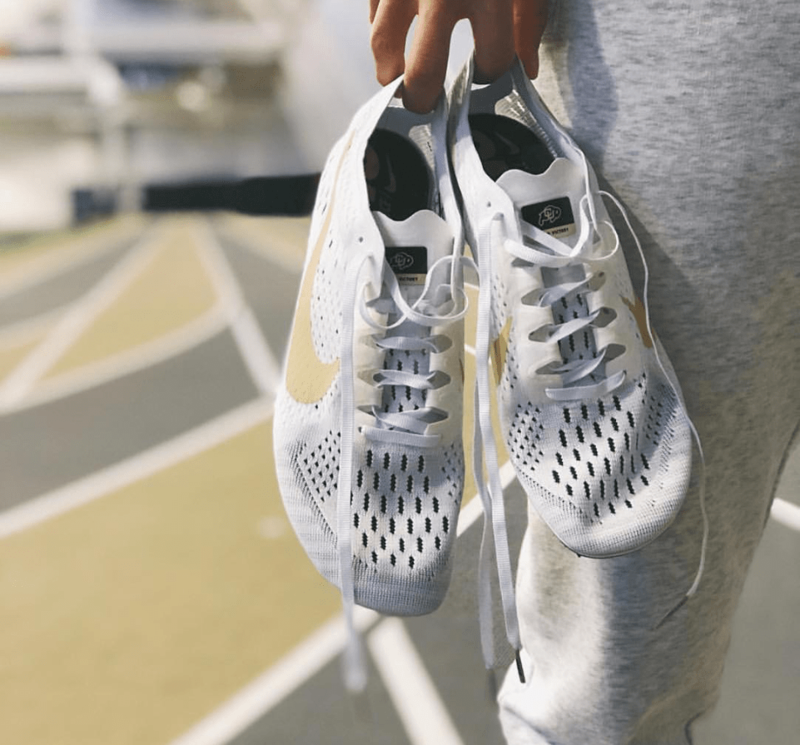 These tend to be worn by the pro athletes in either workouts or track races and are used as an opportunity for Nike to test out new ideas for their footwear lines. 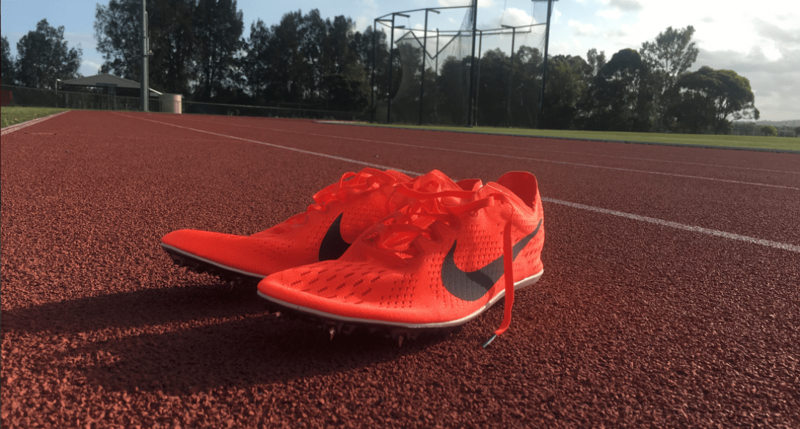 As well as Nike using prototypes for testing, it is often the case that there are ‘unreleased’ spikes which are, in fact, requests from specific athletes. It is important to note that I am in the dark as much as anyone else regarding the spikes that I have talked about. 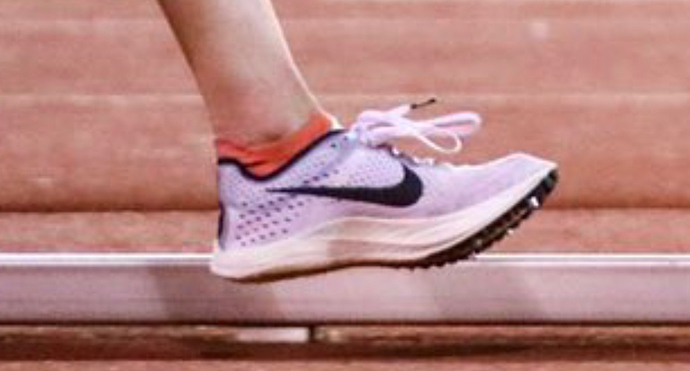 I am basing my thoughts on the pictures I have seen of athletes wearing these latest spikes and have no knowledge of when – if ever – any will be released to the public. 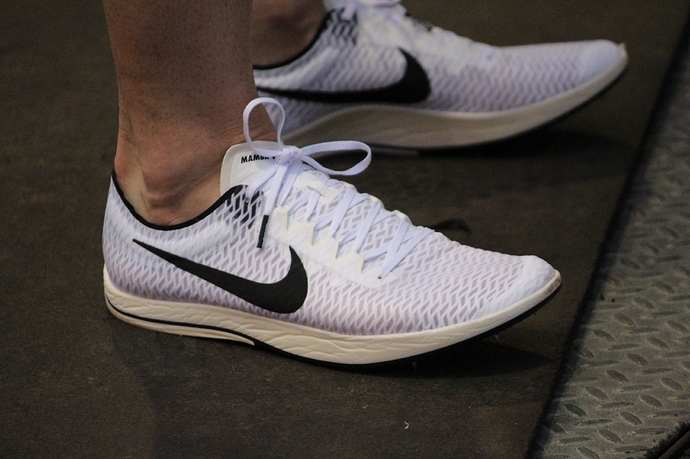 I personally believe that on the most part it is quite unlikely that we will ever see any of these prototypes as such being made public as Nike are making a more concerted effort into personalised footwear (see Nike’s new innovative Flyprint technology). 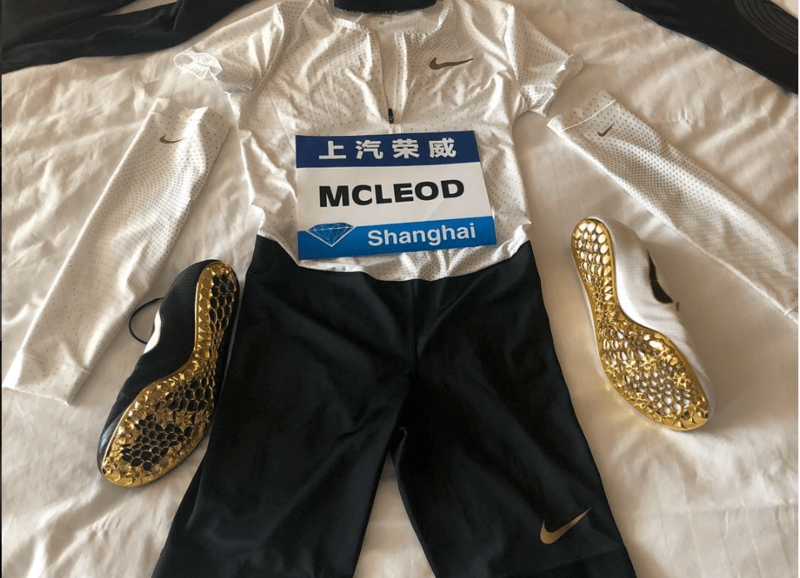 Therefore, a lot of these unreleased spikes worn by the pros are likely to have been especially customised to meet the needs of the athletes, much in the way that Mo Farah would request the previously discontinued OG Victory spike plate. Mo Farah’s custom Nike Zoom Victory spikes with a Victory 3 upper and an OG spike plate. These spikes were personalised for Farah’s recent knighthood. One type of prototype has been popping up quite a few times though. This spike is a mixture of many different spikes/ trainer and has been given a variety of names by fans depending on the version seen. 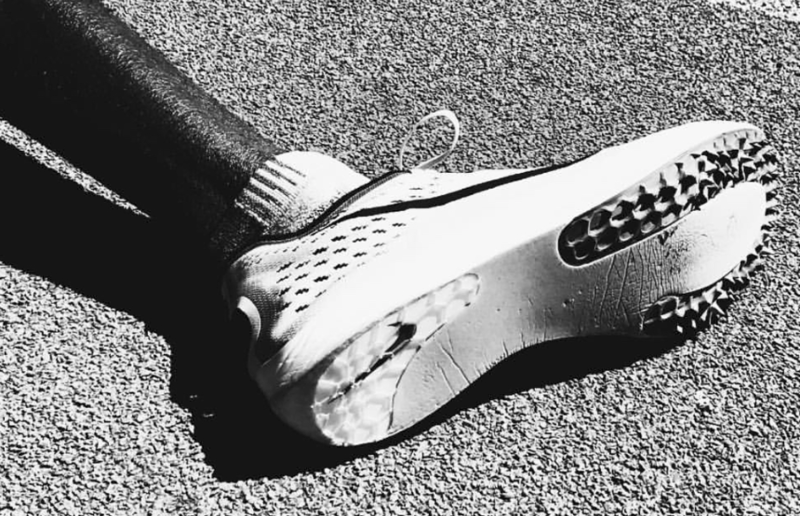 Primarily, the constant feature of this spike is a Nike Zoom Vaporfly 4% sole from the groundbreaking and record breaking trainer. This has been combined with a few different upper materials and has also had a variety of different spike plates attached. 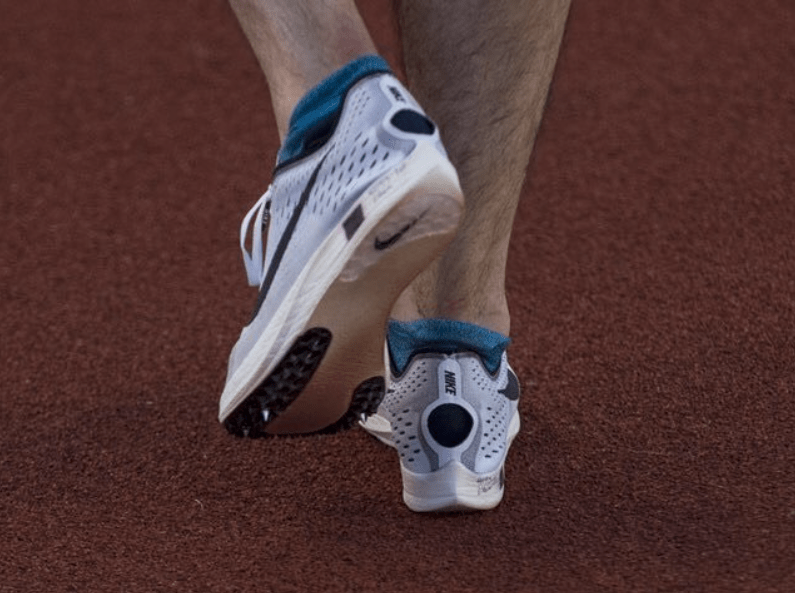 I would personally guess that this spike is more suited to longer distances with a thicker sole, but it has recently been seen on the feet of 1500m special Filip Ingebrigtsen in the Oslo Diamond League. The two different uppers that have been seen so far are from the highly anticipated Nike Zoom Mamba V and the Nike Zoom Matumbo 3, both of which are shown above. The upper from the Matumbo spikes has been seen on this prototype for over a year now but more recently it has been swapped out for the new Mamba V upper instead. As for the spike plate of this shoe, it is a hybrid spike plate based upon the Nike Zoom Matumbo plate. Here, the crown of the sole is covered with the semi-circular spike plate, leaving the majority of the sole flat, plainly left as just the foam sole. Regarding the availability of these prototypes, I believe they are unlikely to ever be seen on the market for anyone to purchase. However, if Nike finds the right combination of upper and sole, then they may later on down the line decide to release a similar spike based off this prototype.